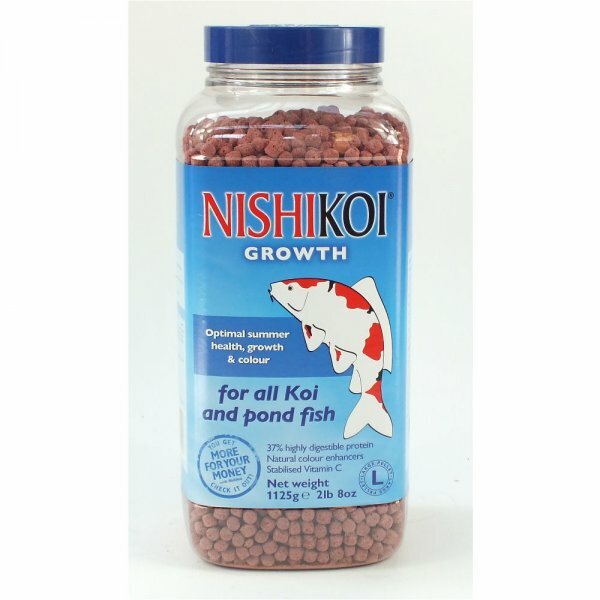 With a high 37% of protein Nishikoi Growth pellets are a great fish food for all pond fish inclding koi. It provide a diet with high protein for growth and a colour enhancing formula to bring out the best in your fish. The protein is highly digestible to help reduce fish waste. Stabilised vitamin C will give your fisha much needed boost to help protect them from disease.